Yesterday, in my article concerning how to fix the Oakland Raiders, I was called out because I accidentally referred to starting quarterback “Derek Carr” as his now washed up brother “David Carr”. 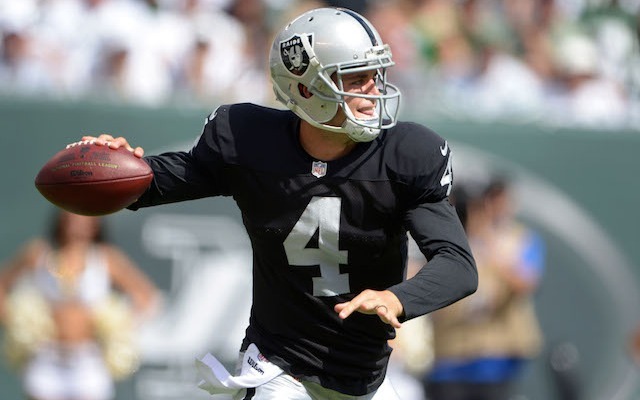 So in penance for that, I’m going to take a closer look at “Derek Carr” today and consider what potential he has for 2015. 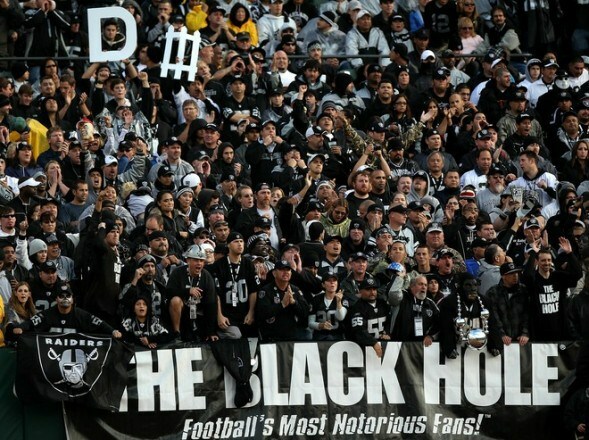 This one is for you, Raiders’ fans (because clearly when they say they’re “football’s most notorious fans”, I’m fairly certain that what they really mean is that they’re “football’s most dangerous fans”). At a summary level, Carr ended up with the 19th most passing yards of all QBs in the NFL in 2014 and had a reasonable 21 to 12 TD to INT ratio. But of 33 qualified QBs with at least 200 attempts, he was 4th to last in completion percentage (58.1). The summary doesn’t tell us everything though, so let’s take a closer look at his 2014 performance. First, let’s look at the NFL standard for QB assessment, Passer Rating. Let’s also assume that a Passer Rating over 90 is good (for your reference, exactly half of qualified QBs with at least 200 pass attempts in 2014 had a Passer Rating over 90) and let’s also assume that over 100 is very good. In Carr’s rookie season his total Passer Rating of 76.6 was the 4th lowest of all qualified QBs in the NFL. But, as I said, averages can be misleading, so let’s examine his best and worst games. Carr had only 2 games over a Passer Rating of 100 and 1 game over 90 (but less than 100). Interestingly, those games were spread throughout the season and included the first game of the season against the Jets, the fifth game of the season against the Chargers and the week 14 performance against the 49ers. Let’s take a closer look at the teams he did well against. If we look at passing defenses in terms of yards allowed, we see that the Jets are ranked 14th, the Chargers are ranked 4th and the 49ers are ranked 5th. What this tells us is that Carr managed to perform well even against strong passing defenses, so this wasn’t due simply to a match-up advantage. If I were Del Rio, I certainly could take comfort in the fact that it wasn’t a seasonal performance either. Carr performed well at times in the beginning of the season and near the end of the season. Although he ended on a huge down note, there’s some hope that with additional consistency in the receiving core and in the backfield, Carr could be the guy we saw in his best three games. Let’s now pivot to look at his worst game of the season, which was the week 13 performance against the Rams where he ended up with a Passer Rating of 50.5. Why did he do so poorly? The Rams passing defense was ranked lower than all three teams that he did well against (19th), so it certainly wasn’t the strength of the pass defense. I suspect that part of it was due to playing from behind, but a significant reason may have been the play calling. In the Rams game, Carr had a whopping 48 pass attempts. If you compare that to how many pass attempts he had in the three games he did well in (Jets – 32, Chargers – 34, 49ers -28) you’ll note that, on average, Carr had over a third more attempts in the game against the Rams than against the Jets, Chargers and 49ers. The takeaway here is that Carr shouldn’t be throwing the ball that many times a game. He needs a reliable backfield and a reliable defense so as not be put in the situation where he needs to air it out to win games. Looking at ESPN’s proprietary stat of QBR tells the same story. There were 65 performances of QBR 90 or greater during 2014. 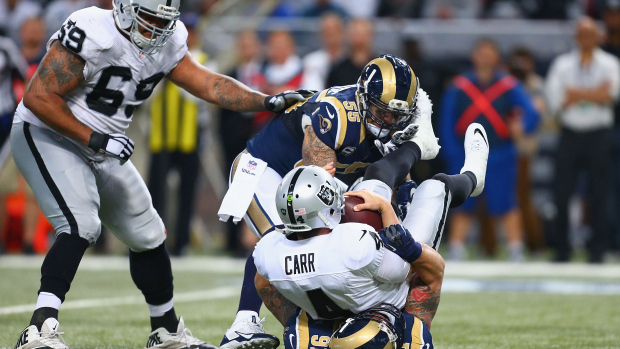 Carr had only one of them (91.2), the aforementioned game against San Francisco in week 14. Unfortunately, he never had a QBR greater than 64 in the 15 remaining games, and in fact had QBRs under 40 in 9 of them (one of which was the St. Louis game in which he had a frightening QBR of 9.5). The bottom line is that Carr has potential to be a decent quarterback when he’s in a balanced offense. He’s managed to do well against strong passing defenses with very little help from his supporting cast. If Latavius Murray is the running back that we think he can be and that he showed he could be at the end of last season, and if some weapons are added in the receiving core, Carr has potential to be a franchise quarterback. The other thing to note was it has been recently reported that new Raiders offensive coordinator, Bill Musgrave, previously the quarterbacks coach for the Eagles, plans to use a high tempo, no huddle offense next year. 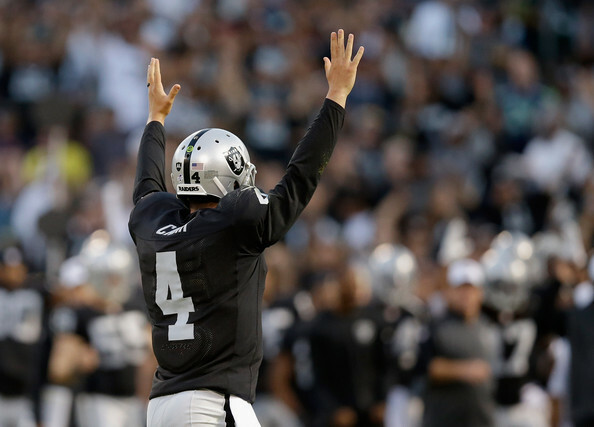 We know that Carr is excited about moving to a higher paced offense, but the question is, will Carr be a good fit? 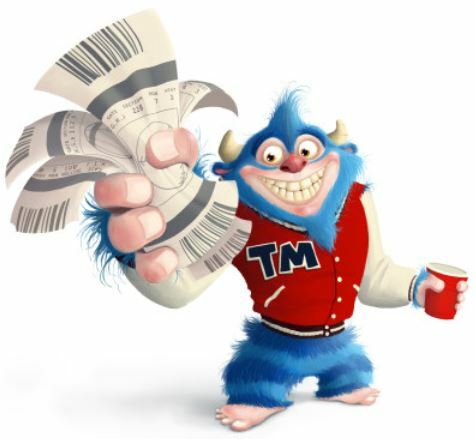 Let’s take a quick look at some numbers. 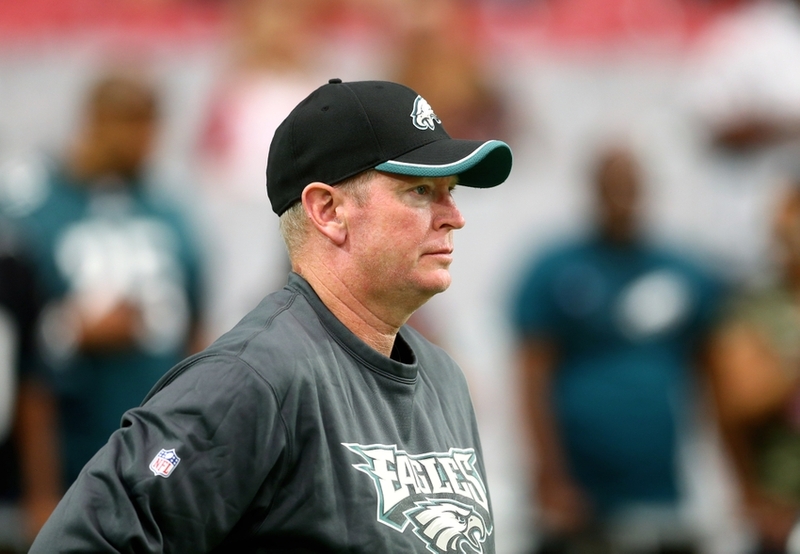 The Eagles quick moving offense had an average time of possession of 26:40 in 2014 (shortest in the NFL). Assuming that Musgrave wants to institute the same type of speed he had in Philly, perhaps we can look at how Carr faired in games versus time of possession to get a feel for whether Carr would be successful in such a system. Well, turns out the Raiders total time of possession against the Jets was 25:10, against the Chargers was 22:58 and against the 49ers was 32:55. And in that terrible performance against the Rams? A time of possession of 36:56. Time of possession clearly doesn’t tell the entire story, but what it does say is that Carr has no issue operating with less time, and in fact excels in such situations. 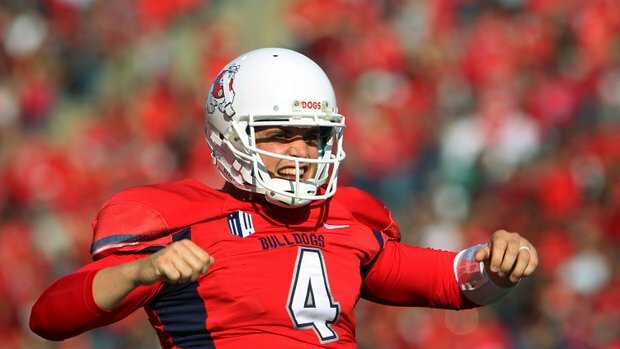 And, of course, Carr ran the no huddle offense frequently when he was in college at Fresno State, so at least this won’t be entirely new to him. So do we, Derek. So do we. But if it doesn’t work out, there’s apparently a market for retired football players in Geico commercials, so there’s always that. Well, thanks to the Raiders coach leaving Mr. Carr in during Garbage Time TODAY, it’s all ‘garbage time’ for the remainder of Oakland’s 2016 season. Thanks, coach!